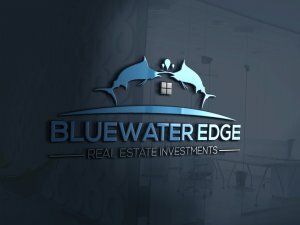 Bluewater Edge Real Estate Investments Need To Sell Your House Fast? We Buy Houses! We Buy Houses Anywhere In Miramar And Other Parts of Fl, And At Any Price. Check Out How Our Process Works. We’re Ready To Give You A Fair Offer For Your House. If you want to sell your Miramar house… we’re ready to give you a fair all-cash offer. Stop the frustration of your unwanted property. Let us buy your Fl house now, regardless of condition. Do You Need To Sell Your House in Miramar, Fl? We can buy your Fl house. Fair offer – you will find hard to refuse. We buy houses in Miramar Fl. You don’t even have to Google how to “sell my house fast in Hollywood Fl” to get the best tips and strategies. Our service is simply the best! It saves you time, effort and money too. No need to make costly repairs – When you are selling a house in Florida through traditional methods you are the one responsible for making costly repairs &time consuming. Work with us today and we will buy your house “as-is”, no roof to replace, no plumbing to fix, you don’t even have to clean it. Avoid Foreclosure – Bluewater edge llc can offer a quick closing on your house, pay cash and help you avoid foreclosure and the credit issues that follow. Our experts will give quote you a fair offer you will find hard to refuse. We buy houses in Miramar . You don’t even have to Google how to “sell my house fast in Miramar Fl” to get the best tips and strategies. Our service is simply the best! It saves you time, effort and money too. Did we mention there are no fees involved? And definitely no commissions too. Plus, you don’t have to worry about repairs either. Tax Tips For Selling Your Hollywood House! 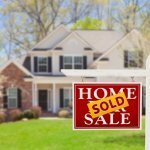 How To Sell Your House in Florida Without ANY Hassle!